The home buying and selling process can be a stressful and confusing time. Here at A+ Reliable Home Inspections, LLC, we believe in keeping things simple. By specializing on only the inspection, we are able to concentrate and excel in this most important area. We do not make any necessary repairs ourselves. We are not going to try to sell you any additional testing or inspection services unless you request them. This is it. This is all we do, everyday. There are no hidden fees or additional charges. We believe in treating our clients like we would like to be treated. All A+ Reliable Home Inspections, LLC inspections evaluate interior and exterior components and systems including but not limited to; Lot drainage, Downspout extensions, Lot, Exterior, Roofing, Gutters, Downspouts, Structural, Electrical, Plumbing, HVAC, Attic, Insulation, Garage, Windows, Doors, Interior room items, Crawl space, Basement, Radon if requested, and much more. We follow the State of TN and InterNACHI (International Association of Certified Home Inspectors) requirements. We can coordinate a termite inspection by a licensed termite specialist and a septic inspection at the same time as your home inspection upon request. If you have a need for additional services, please let us know. We can refer you to a qualified expert. We make no repairs, and receive no compensation from anyone we refer. 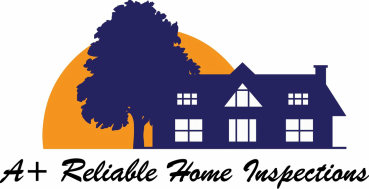 With so many great reasons to work with A+ Reliable Home Inspections, LLC, why would you choose any one else?